The M-65 cold weather field trouser liner is buttoned into field trousers for extra warmth, and also can be worn as a separate full closure liner to serve as an insulating layer for the ECWCS. The trouser liner has a single-button waist closure and six buttonholes at the waist for attaching the liner to the trousers. The trouser liner has been redesigned to make it capable of being worn independently of its outer garment. 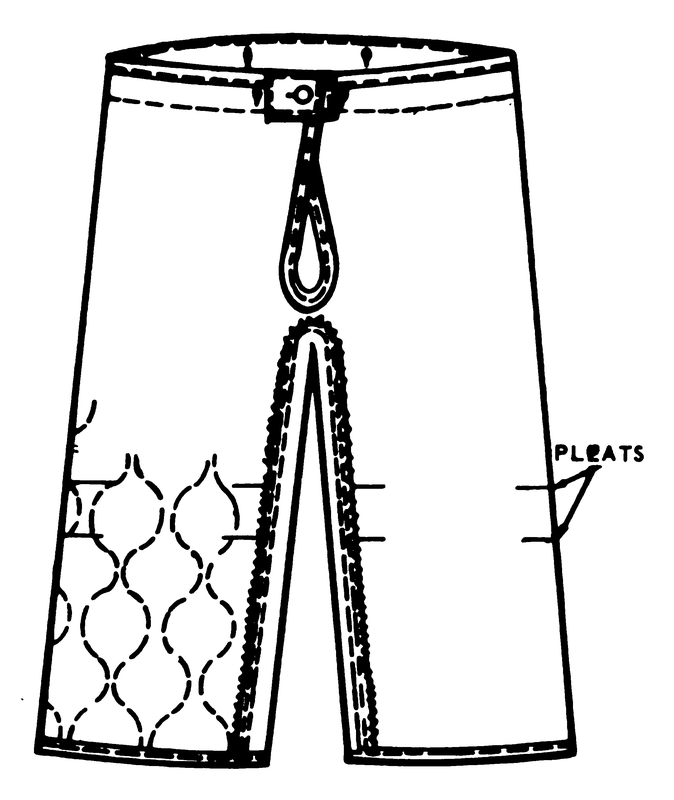 Buttons and buttonholes have been added to the outseams of the trousers to form buttoned side openings for easy removal. The trouser liner is quilted and made of polyester batting covered with 3 plies of ripstop nylon cloth, conforming to type IV, class 1, style a of MIL-B-41826.